Seamus Heaney was born on April 13th, 1939, the first child of Patrick and Margaret Kathleen Heaney (née McCann), who then lived on a fifty-acre farm called Mossbawn, in the townland of Tamniarn, County Derry, Northern Ireland. Heaney was the eldest of nine children – he had two sisters and six brothers – and as such might have been expected to follow in his father’s footsteps, becoming a farmer and cattle dealer. When he was still quite young, however, it was recognized that this was unlikely to happen, for after attending the local primary school in Anahorish, he won a scholarship to St Columb’s College in Londonderry, a school which, as he himself put it somewhat later, ‘was very much geared to getting you through the exams, very academically pitched.’ Heaney did well, and in 1957 he entered Queen’s University, Belfast, where he had been offered another scholarship, this time to study for a degree in English Language and Literature. It was while studying at Queen’s that he started to write, and between 1959 and 1961 – the year he graduated with first-class honours – the university magazines Q and Gorgon published a handful of his poems as well as a short story. They appeared under the pen name of Incertus (i.e. Uncertain). The Head of English at Queen’s encouraged Heaney to apply to Oxford to do postgraduate study, but, lacking what he later described as the confidence, the nous and the precedent, and feeling an obligation to start paying his way, he chose instead to go St. Joseph’s College in Belfast, to study for the Postgraduate Certificate in Education. Heaney spent only one year working as a school teacher, employed by St Thomas’s Intermediate School in Belfast. What led him to quit after so short a period was the offer of a lectureship back at St Joseph’s. At about the time that Heaney joined the staff at St Joseph’s, he met the poet and critic, Philip Hobsbaum. Recently arrived from England, Hobsbaum – who had studied under F.R. Leavis in Cambridge and William Empson in Sheffield – was intent on doing in Belfast what he had earlier done in London, bringing poets together for regular meetings at which their work would be read out and criticized. As in the earlier case, so in this, the circle of poets came to be known as ‘The Group’, and besides Heaney it included Michael Longley, Derek Mahon, Stewart Parker and James Simmons. In 1964, Hobsbaum sent some of the poems that had been discussed by the Group in Belfast to Edward Lucie-Smith, an old associate of the Group in London. Lucie-Smith forwarded them to the literary editors of various journals, amongst them, Karl Miller at the New Statesman. 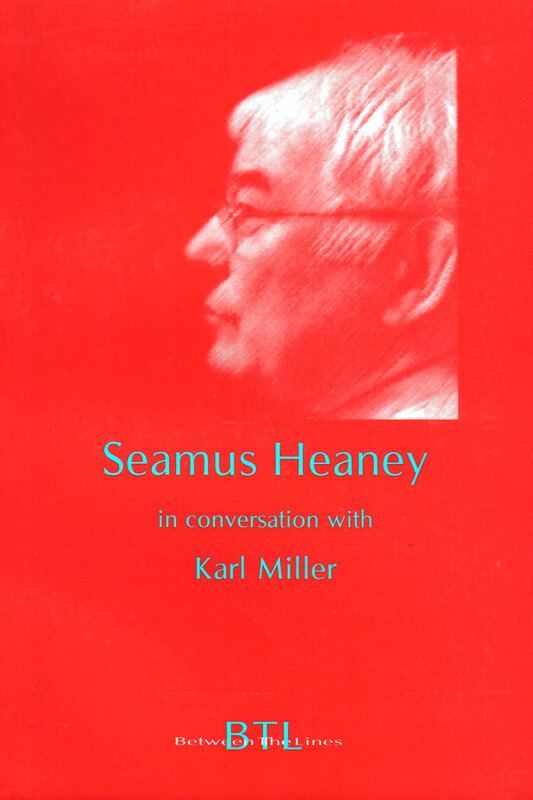 Miller was very taken with three of the poems by Heaney – ‘Digging’, ‘Scaffolding’ and ‘Storm on the Island’ – and these were published in a single issue of the New Statesman early in December 1964. In 1965, Heaney married Marie Devlin, sister of the journalist Polly Devlin, and then working as a teacher. He also saw his first pamphlet published. Eleven Poems was one of a series of such pamphlets issued to coincide with the Belfast Festival, and it received a number of good reviews, including one by John Carey, who described three of its poems as ‘masterly’. The following year was to be no less important. In May, just a couple of months before Marie gave birth to the first of their three children, Faber and Faber – who had been alerted to Heaney’s existence by the New Statesman’s three poems – brought out Death of a Naturalist, his first full collection. The book was widely and enthusiastically reviewed. C.B. Cox called it ‘the best first book of poems I’ve read for some time’, Brendan Kennelly thought it ‘a startlingly good collection’, Michael Longley declared its author ‘a true poet of considerable importance’, and Christopher Ricks, after insisting that those ‘who remain unstirred by Seamus Heaney’s poems will simply be announcing that they are unable to give up the habit of disillusionment with recent poetry’, went on to say: ‘The power and precision of his best poems are a delight, and as a first collection Death of a Naturalist is outstanding’. The book won the Cholmondeley Award, the E.C. Gregory Award, the Somerset Maugham Award and the Geoffrey Faber Memorial Prize. Before the year was over, Heaney resigned from his position at St Joseph’s to take up the offer of a lectureship in English back at his old university, Queen’s (the position having fallen vacant when Hobsbaum returned to England). After two more collections were published – Door into the Dark (1969) and Wintering Out (1972) – Heaney made two very important moves. He had spent the academic year of 1970-71 at the University of California at Berkeley, and not long after his return, first gave up his job at Queen’s, and then left Northern Ireland, to set up home some twenty miles outside Dublin, in Glanmore, Co. Wicklow. He wanted, as he put it later, ‘to put the practice of poetry more deliberately at the centre of my life.’ He also wanted to escape the pressures he felt as a Catholic writer working in the North: ‘In the late ‘60s and early ‘70s the world was changing for the Catholic imagination. I felt I was compromising some part of myself by staying in a situation where socially and, indeed, imaginatively, there were pressures “against” regarding the moment as critical. Going to the South was perhaps emblematic for me and was certainly so for some of the people I knew. To the Unionists it looked like a betrayal of the Northern thing.’ For the next three years, Heaney made his living as a full-time writer. Then, in 1975 – by which time all three of his children had been born – he was obliged to resume teaching, and went to work at another teacher training establishment, Carysfort College, in Dublin. Heaney moved to the city shortly thereafter, and it has remained his home ever since. 1975 was also the year of North, his most overtly political volume, and one which, though most reviewers welcomed it – Martin Dodsworth spoke for many when he said that the poems were ‘testimony to the patience, persistence and power of the imagination under duress – did lead some to voice serious misgivings. Ciaran Carson was probably the most outspoken of the book’s detractors, calling Heaney ‘the laureate of violence – a mythmaker, an anthropologist of ritual killing’. The book won the W.H. Smith Award, the Duff Cooper memorial Prize and was a Poetry Book Society Choice. Two more books followed – Field Work (1979), and Preoccupations: Selected Prose (1980) – and then, in 1981, by which time he had been Head of English for five years, he resigned the job at Carysfort, having been offered a visiting professorship at Harvard University. 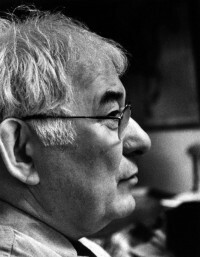 In 1984, the year he published Station Island, Heaney was elected Boylston Professor of Rhetoric and Oratory at Harvard. Five years later, after the appearance of The Haw Lantern (1987) and a second collection of essays, The Government of the Tongue (1988), he was also elected Professor of Poetry at Oxford. Of the many honours to come Heaney’s way – only a small number of which have been listed above – undoubtedly the most prestigious was the Nobel Prize for Literature, which he was awarded in 1995. Not long afterwards, he gave up the Boylston Chair, but, keen not to sunder his ties with Harvard, accepted appointment as the Emerson Poet in Residence there, a position previously occupied by Robert Frost and Robert Lowell. Heaney’s work-rate has shown no signs of slowing down in recent years. Since 1989, the year he turned fifty, he has published The Place of Writing (1989), his Richard Ellmann lectures, Selected Poems 1966-1987 (1990), The Redress of Poetry (1990), the lectures he gave while Professor of Poetry at Oxford, The Cure at Troy (1991), his version of Sophocles’s Philoctetes, Seeing Things (1991), The Spirit Level (1996), Opened Ground: Poems 1966-1996 (1998), and the much-admired translation of Beowulf (1999), for which he was awarded the Whitbread Prize. More recently, he has also published Diary of One Who Vanished (1999), his version of a song cycle by Leos Janacek, which has been staged by the English National Opera in London, Dublin, Paris, Munich, Amsterdam and New York.